This post has already been read 11041 times! Su-30MK2s fighter jets at a cost of Shs108b each. Rosoboronexport, Russia’s state arms exporter would also sell 16 fighter jets to Algeria, Vedomosti a leading business daily in Russia reported. Although Col. Kulayigye admitted the government was earlier negotiating with Rosoboronexport, he said the army later pulled out because of the budgetary implications. “It’s true that there were negotiations on that subject. But we pulled out because the costs were prohibitive and we instead decided to overhaul the ones we have. Those people got their facts wrong,” he said. “Our aircrafts left last week for an overhaul by the same company,” the military spokesman said. The two contracts to deliver 16 jet fighters to Algeria and another six fighters to Uganda are worth $1.2 billion, Vedomosti reported. “Two African nations will receive different models of the Su-30 Flanker fighters. Algiers will receive 16 Su-30-MKI(A)s and Kampala will receive six Su-30MK2s,” the paper said. The acquisition of these jets would strengthen the capacity of the Ugandan Air Force to be among the top in the region. According to Rosoboronexport website, ROSOBORONEXPORT. Catalogues of PRODUCTS, the Su-30MK2s is an all-weather, long-range strike fighter and is designed with a multi-role capacity to gain air superiority through killing hostile manned and unmanned aircraft with guided missiles. It can shoot at medium-range engagements and dogfights, and surface (ground and sea) targets destroying with all types of weapon, with high precision weapon in individual and group operations in all weather conditions. The aircraft can also be used for training flying personnel to hone their flying and fighting skills. The back-seater reduces the pilot’s workload in long-range encounters, in night-time operations and on protracted missions with in-flight refuelling. Rosoboronexport has closed some $7.5 billion worth of arms export deals since the beginning of the year. According to the company’s head, Mr Anatoly Isaikin, Russia signed $15 billion worth of contracts during 2009, Vedomosti reported. 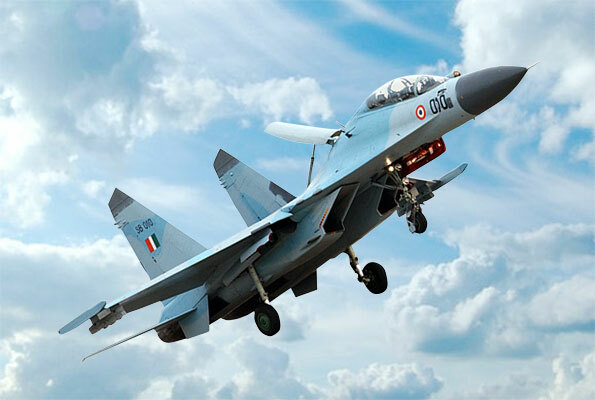 Su-30 Flankers in various models have also been sold to India. India has so far received 120 out of the 230 jets it has ordered. Malaysia has also received 18 fighters. Founded in 1999, Vedomosti is the leading independent business daily in Russia. It has publishing partnership with world business press leaders – Financial Times and The Wall Street Journal – and the largest Russian publishing house Independent Media Sanoma. Uganda has had bad a history of procuring aircrafts after it bought junk choppers from Belarus in the early 1990s.